CosplaySky has been offering some good quality costumes on a budget, but now it’s even better. The costumes from CosplaySky are now available on Amazon, and this one specifically is just $29.99 and rated high for it’s great quality. 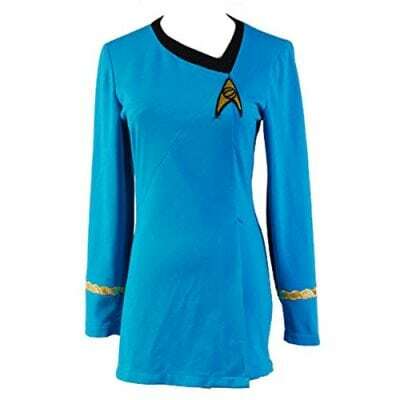 The CosplaySky Star Trek Blue Uniform for women is a great value and available in multiple sizes. The costume is 100% cotton and great for any Trekkie looking for an affordable Trek option for a night out on the town.